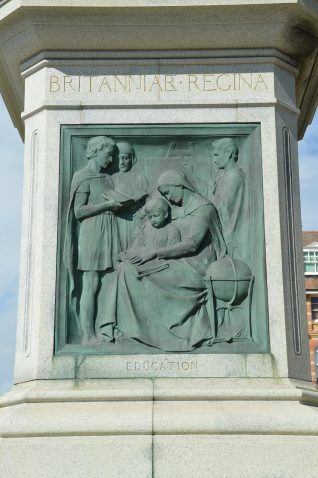 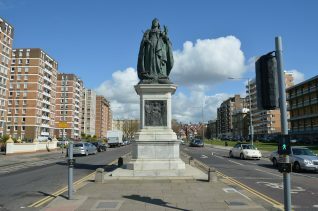 This statue of Queen Victoria, produced by the sculptor Thomas Brock, faces south in Grand Avenue, Hove. 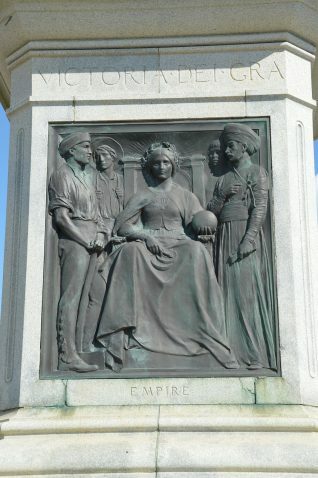 It is a life size replica of the Queen wearing Royal Regalia and was commissioned to commemorate the Queen’s Diamond Jubilee in 1897, but was not completed until 1901, the year of her death. 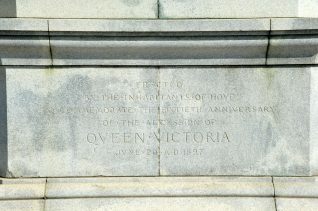 The inscription reads, ‘Erected by the Inhabitants of Hove to Commemorate the 60th Anniversary of the Accession of Queen Victoria June 20 AD 1897‘. 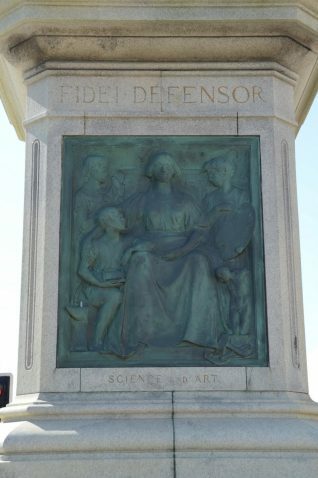 Low relief bronze panels on the marble plinth show allegorical figures representing Education and Empire. 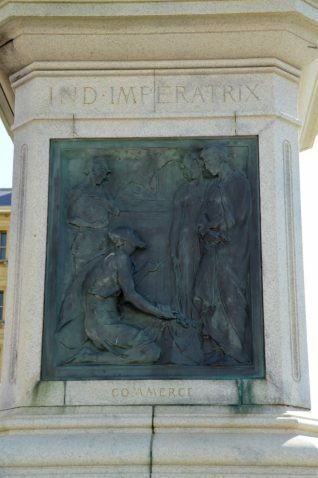 Low relief bronze panels on the marble plinth show allegorical figures representing Commerce and Science and Art.